This page has been created, as a repository for links to a variety of descriptions of the technology used in the paper: A role for self-gravity at multiple length scales in the process of star formation, by Alyssa A. Goodman, Erik W. Rosolowsky, Michelle A. Borkin, Jonathan B. Foster, Michael Halle, Jens Kauffmann & Jaime E. Pineda, which appeared in Nature on January 1, 2009 (Vol 457, doi:10.1038/nature07609). A 2-minute demonstration of how the 3D PDF works, using the Nature Letter figure as an example. The Quicktime version (30 MB) is recommended. A 6-minute description of the motivation for the "Astronomical Medicine" project, within the context of the mission of the Initiative in Innovative Computing at Harvard. Additional movies and animations from the A-M project are also online here. Seeing Stars Perseus in 3-D, Harvard Magazine, May-June, 2009. 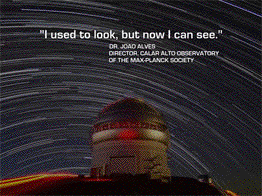 Gravity's Growing Role in the 'Starry Night', The Christian Science Monitor, January 2, 2009. 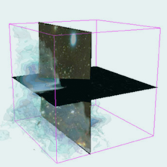 3D PDFs Yield Star Formation Insights, Laboratory Equipment.